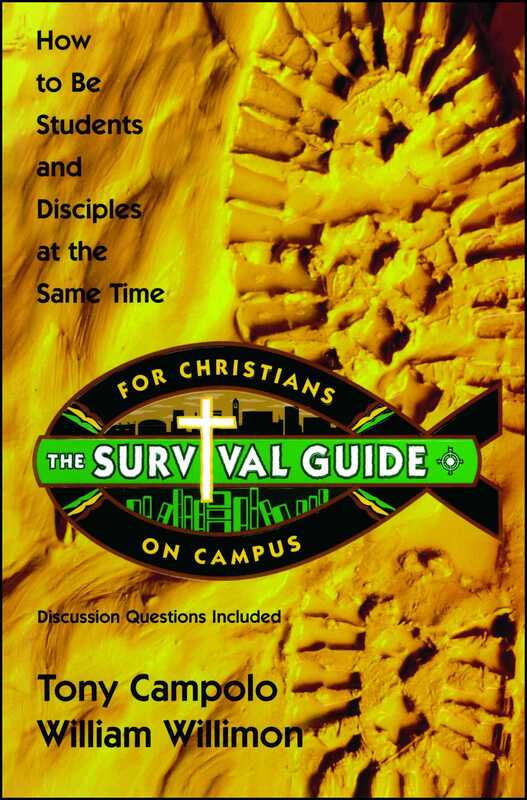 The contemporary college campus is filled with spiritual surprises, daily dilemmas, and difficult questions and this book offers the help and heart to walk into the jungle of campus life as a Christian. Will the Christian faith hold up under the scrutiny of the new knowledge and ideas that bombarded students on the college campus? Tony Campolo and Dr. Will Willimon—college professors and seasons authors and speakers—insist that the Christian faith is not threatened by tough questions. They maintain that some of the greatest minds the human race has produced have put hard questions to Jesus and come away stronger in their faith and more convinced of its truth than ever before. Whether you are a committed Christian or one who is still exploring the Christian faith, this book will provide sound answers to difficult questions. Open this book and find the help and heart to walk into the jungle of campus life and walk out more than a conqueror. Tony Campolo serves as professor emeritus of sociology at Eastern College in St. David's, Pennsylvania, and is a regular guest on programs such as Nightline, Crossfire, Politically Incorrect, and CNN News. Author of the popular Following Jesus without Embarrassing God, he has also authored twenty-seven other books. Dr. William H. Willimon has been Dean of the Chapel and Professor of Christian Ministry at Duke University, Durham, North Caroline since 1984. He preaches each Sunday in the Duke Chapel at the center of Duke's campus and directs the program of campus ministry there. He also serves as a professor in the Duke Divinity School as well as teaching his popular "The Search for Meaning," course in Duke's undergraduate curriculum. Dr. Willimon is a graduate of Wofford College (B.A., 1968), Yale Divinity School (M. Div., 1971) and Emory University (S.T.D., 1973). He has served as pastor of churches in Georgia and South Carolina. For four years, beginning in 1976, he served as Assistant Professor of Liturgy and Worship at Duke Divinity School, teaching courses in liturgics and homiletics and served as Director of the Ministerial course of Study School at Duke, and Presiding Minister in the Divinity School Chapel. He is the author of fifty books, including Resident Aliens, of which 100,000 copies were sold. Over a million copies of his books have been sold. In 1996, an international survey conducted by Baylor University named him one of the Twelve Most Effective Preaches in the English speaking world. His articles have appeared in many publications including The Christian Ministry, Quarterly Review, Liturgy, Worship, and Christianity Today. He is Editor-at-Large for The Christian Century. He has served as Editor and Expositor (with his wife, Patricia) for Abingdon's International Lesson Annual. He has written curriculum materials and video for youth, young adults, and adults. His Pulpit Resource is used each week by over eight thousand pastors in the USA, Canada, and Australia. He is married to Patricia Parker. The Willimons have two children: William Parker and Harriet Patricia.